As per the previous blog, I am now choosing to buy, prepare and cook the healthiest food I can get. Last nights menu was the good old traditional English roast dinner. So I slave over a hot stove all afternoon. I'm chopping, chopping, chopping, peeling, peeling, roasting. It took ages, OMG its so much easier opening a bag of frozen veg and chucking it in water. 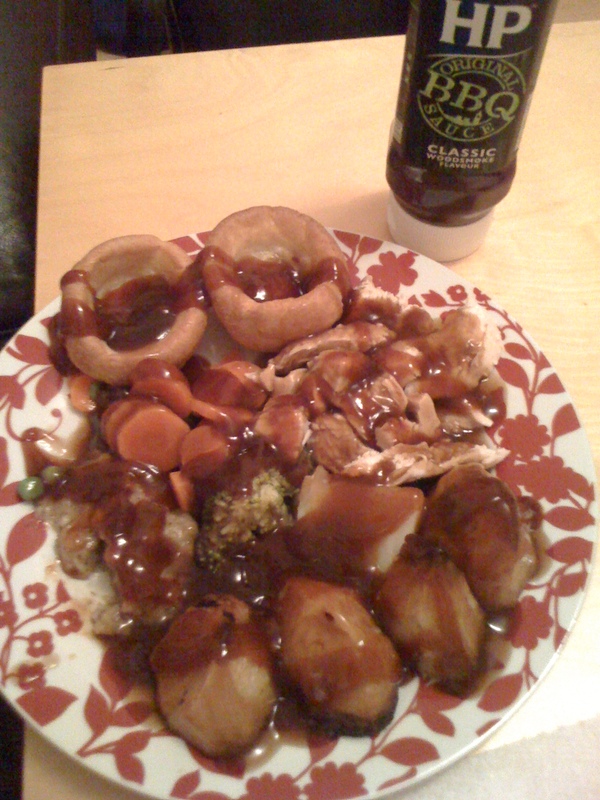 I even made proper gravy from scratch and that is something I only even do on Christmas Day but its healthier that gravy granules with all those additives. Any ho I eventually have a beautiful work of art that is this dinner. And what does son do?